There are two mistakes often made when making asian cuisine from home. 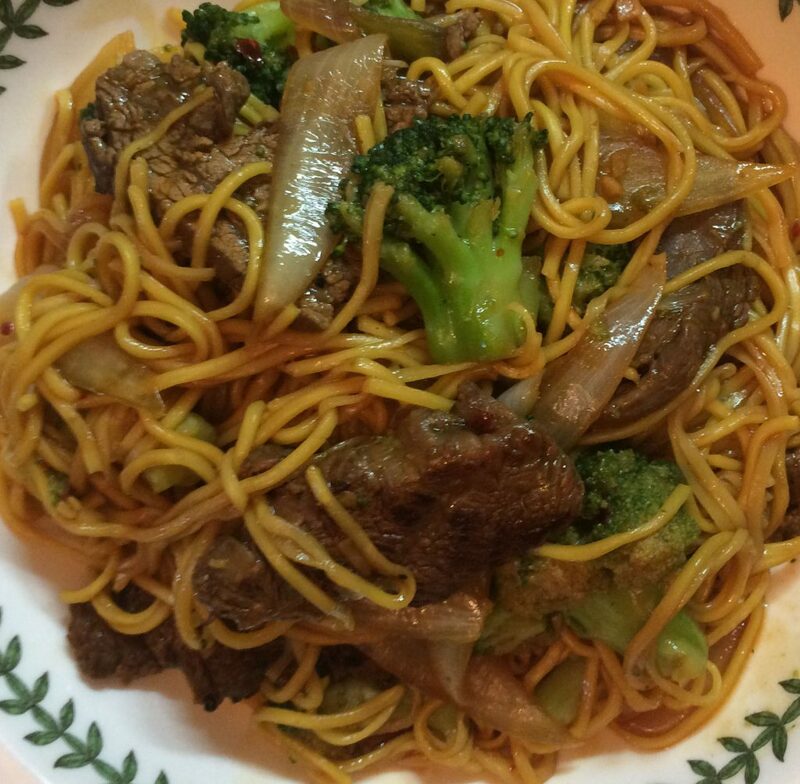 These mistakes will land Beef & Broccoli Noodle Stir Fry in disaster if you don’t first marinade the meat and second cook the meat correctly. This article will help you understand these two pitfalls. Then hopefully lead you to great tasting meal for you and your family. 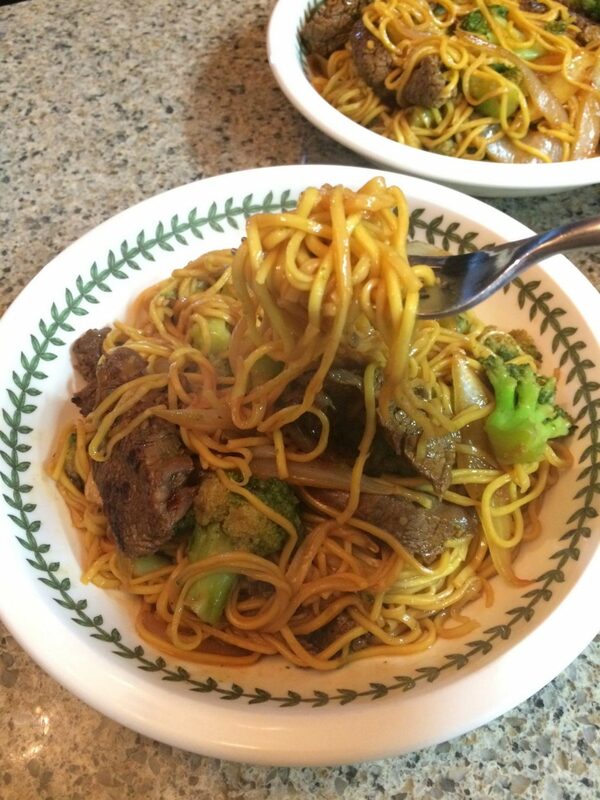 You will love this beef & broccoli noodle stir fry recipe. It is nutrition packed, low calorie meal that won’t leave you hungry. If you love stir fry, then this stir fry recipe is a must have in your personal recipe treasures. If you have ever attempted making stir fry from home, there is one thing that you probably did not know. Because you did not know this thing, what happens is your meat will turn out dry and bland tasting. What’s the problem? The problem is that when you make a stir fry of any sort you are using small bits of meat to a large portion of vegetables applied to high heat. The small chunks of meat are delicate, and will quickly evaporate moisture. 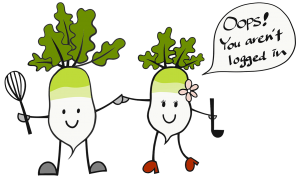 During this process they will shrivel up, and be dry before the vegetables have had a chance to cook. 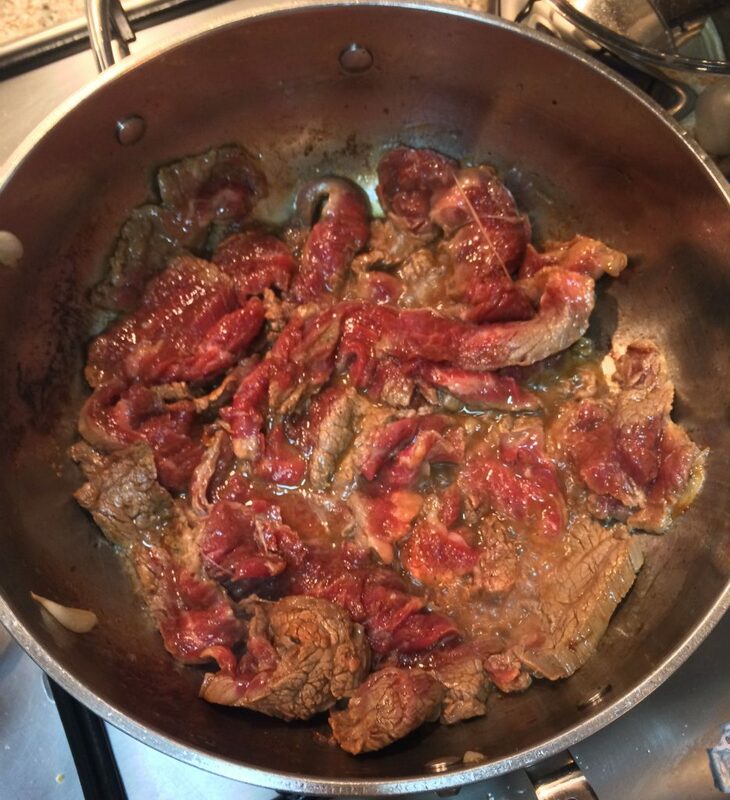 The solution is to marinate the meat first for at least 20 minutes in a sugary and salty solution. What happens is the texture of the meat changes drastically when sugar is applied to meat. If you eat stir fry at an asian restaurant the meat is almost always rubbery, slippery, chewy, yet very tasty. This texture difference is caused by the marinating of the meat. Specifically, the sugar in the marinade changes the texture of meat and changes its cooking characteristics. The good news is that you don’t need much sugar for this effect to occur. There’s additional mistake you could make with this recipe that we want to share with you. We reserve our best tips, tricks, and secrets for registered members or people who will share our content. Please either login or create a free account by registering or simply use a social media account to share. I created this recipe from the inspiration of a few different resources. One is that I love asian food, and I enjoy Japanese teriyaki style cooking, another is my love for a great tasting sauce. In French cooking, deglazing your frying pan after a fond is created is a way to build flavor in french cooking. So I put the two together, and viola you get an awesome tasting sauce, on great tasting teriyaki style cooked beef. I hope you love this recipe and much as my family loves it, and that you will share it with your friends and family. Enjoy! Cut the beef at a diagonal bias about 1/4" thick or less. 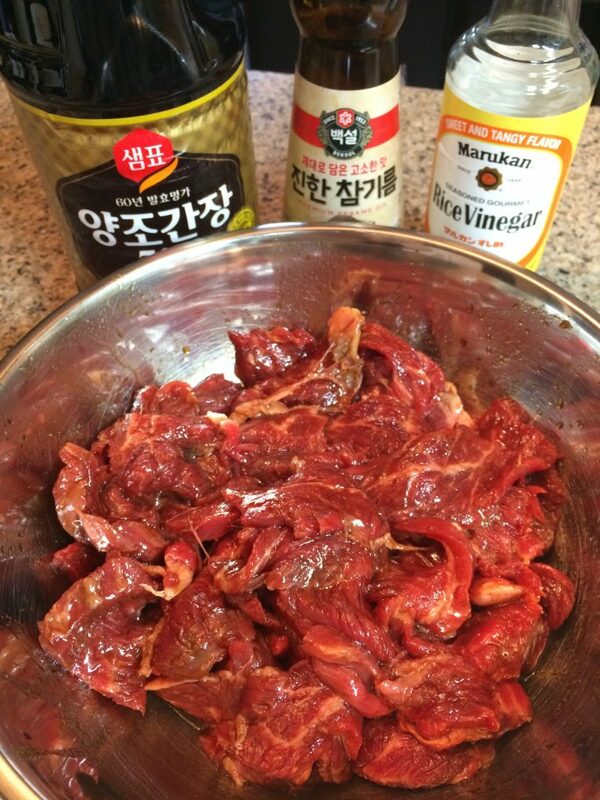 Mix 1 tbsp of soy sauce and 1 tsp sugar, add beef to mix, stir to coat beef, set aside for 15 minutes. Measure all ingredients, whisk together the sauce, and set up work area. Be prepared for fast cooking. Cut down broccoli to florets. Steam them for 7 to 10 min, till softened but still snappy and crunchy, set aside when done. Put a stainless steel frying pan on medium high heat (6 on my glass top oven) with enough cooking oil to coat the bottom of the pan. 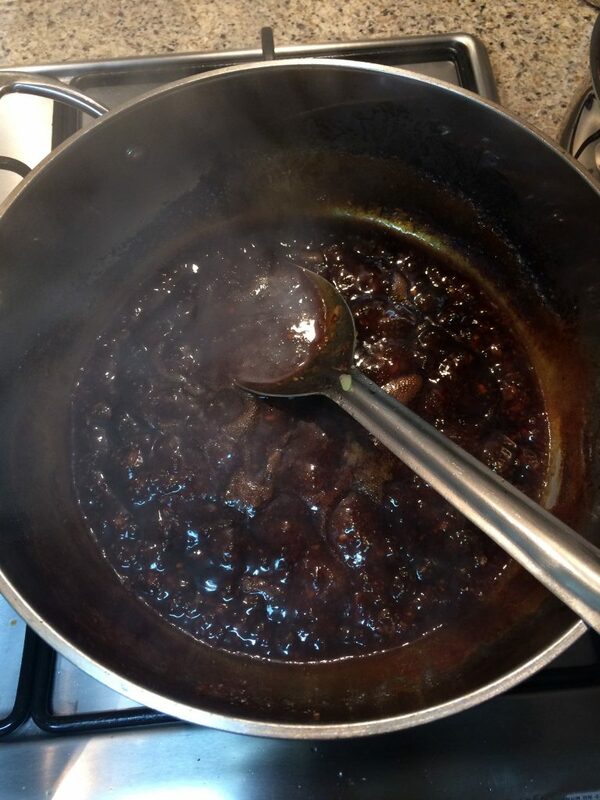 Begin frying beef in batches, season with black pepper if desired while cooking. After finishing a batch, set it aside in a bowl. Only cook a few minutes per side, these are thin slices of beef and will cook fast. The first batch will only come out light brown when done. Note: cook each individual piece on one side, then flip over to cook the other side. 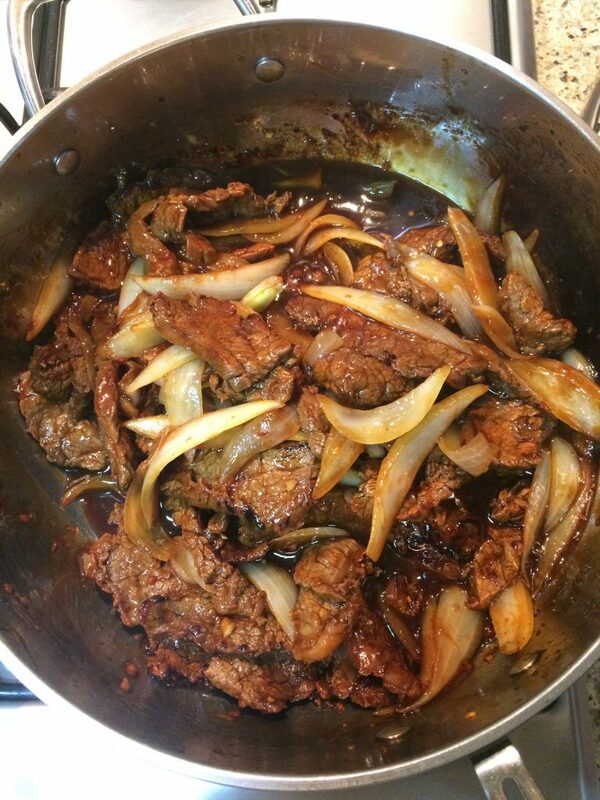 Don't try and stir the beef, we want to create a fond to the bottom of the pan. 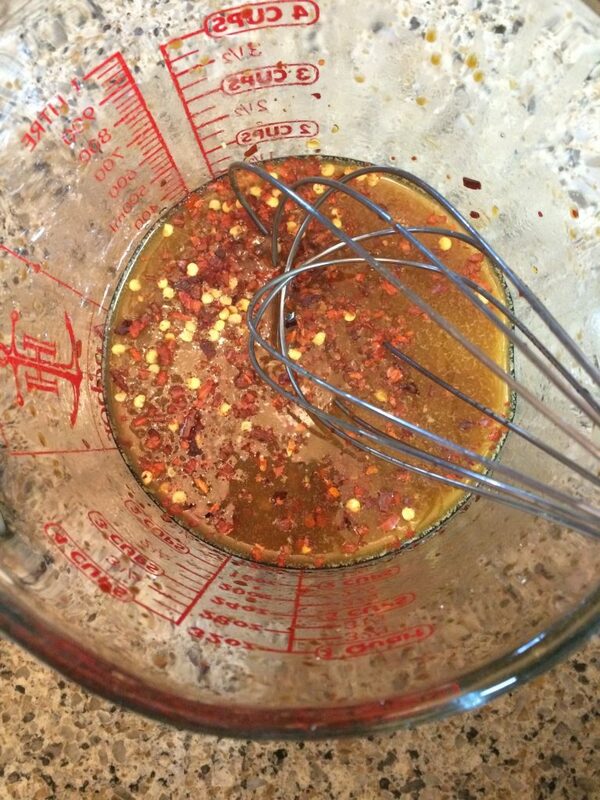 Add more oil as necessary during this process. Keep cooking in batches, each batch will get progressively more brown on the outside as the fond is created. 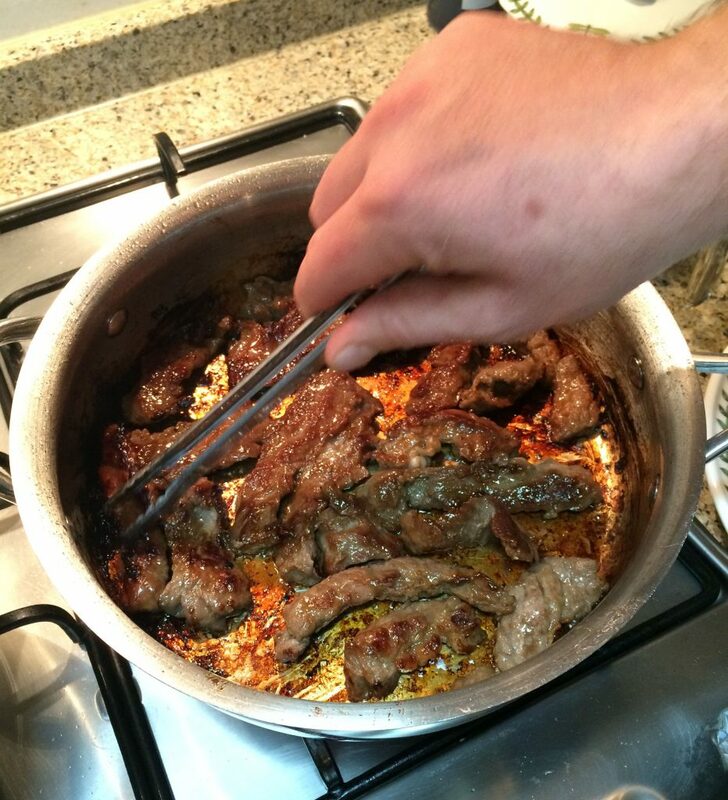 Once fond is created the beef will stick less to the bottom of the pan. 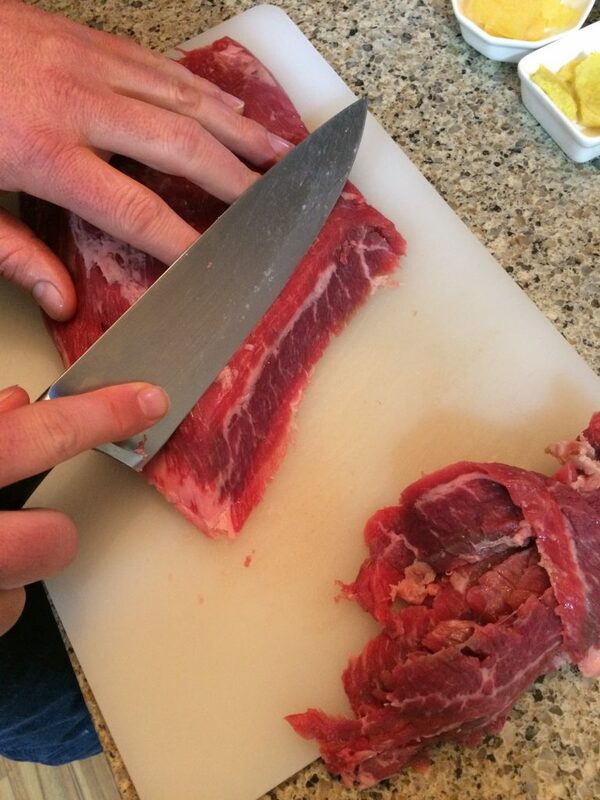 I use a tongs for turning over the pieces of beef. This process should take two to three batches to cook the beef. 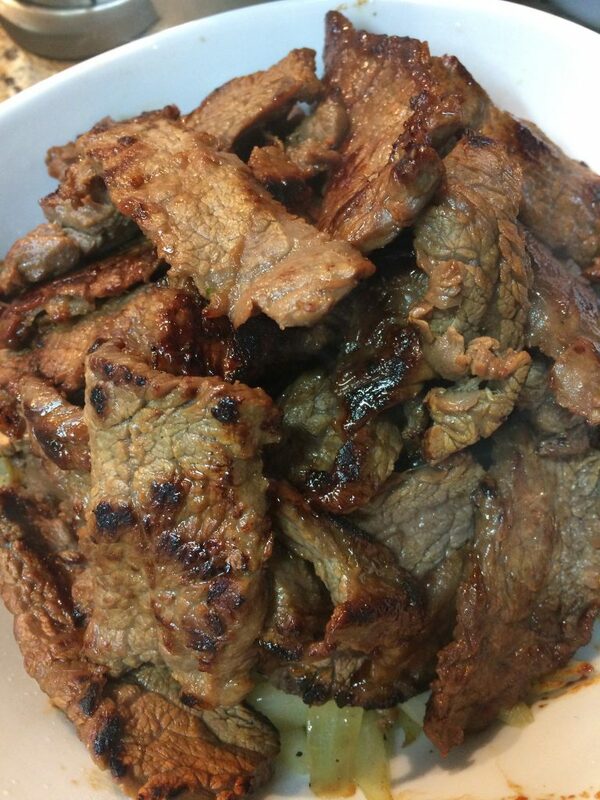 Immediately after the last batch of beef is cooked and set aside in a bowl. Begin to fry the onion and water chestnuts(optional). Cook the onion approximately 3 minutes until desired doneness. 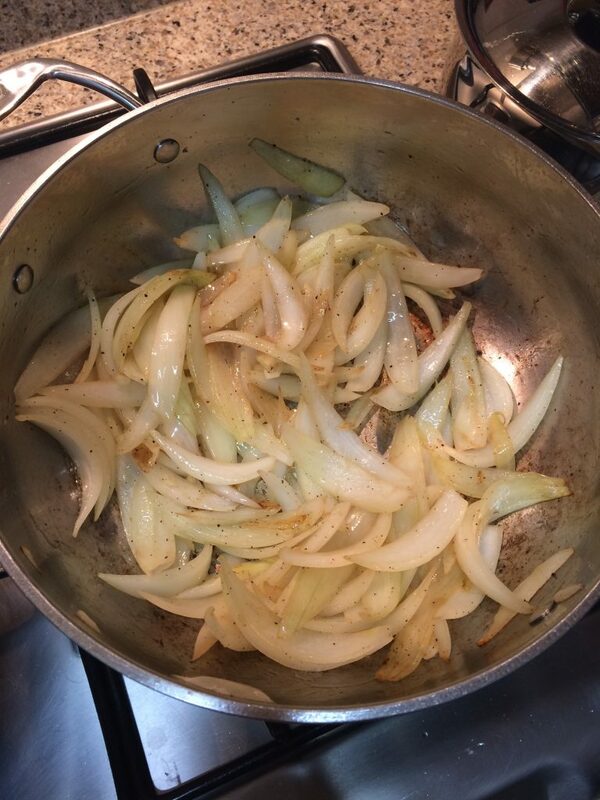 If the fond starts to smoke, remove the onions and cook in a different pan. But if you cooked all the beef in two batches this should not be an issue. 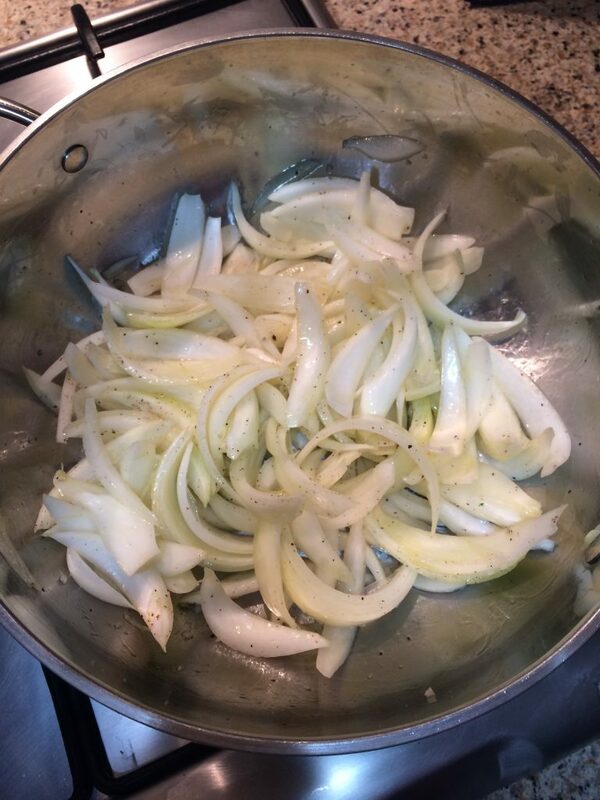 When onion is finished cooking remove from pan and set aside in a bowl. Immediately add the sauce, red pepper, and garlic to the pan and and deglaze the pan. Whisk the sauce scraping the bottom of the pan to loosen the fond, the sauce should thicken quickly. 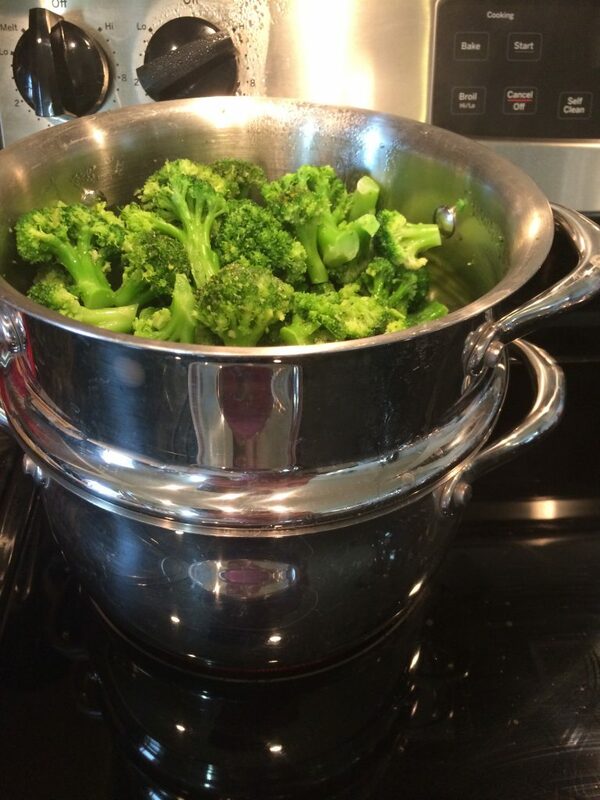 When the broccoli has finished steaming remove the steam basket and add noodles to the boiling water. Cook noodles for 3-5 minutes. Mix all the cooked ingredients together in a sauce pan. Combine with the noodles and broccoli and serve. Be sure to measure, and cut everything in advance. Everything should be cooked together at the same time, so everything is hot being put together. 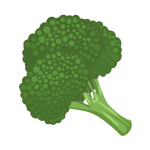 One hack that I do is that I cook the soba noodles in the water used to steam the broccoli. This saves time from having to boil two pots of water. 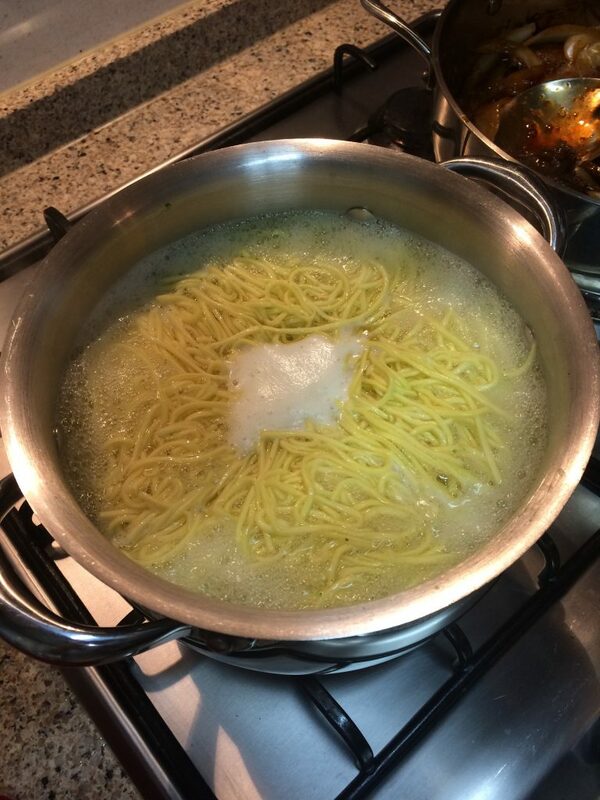 Just make sure that you use extra water in your steam pot to accommodate the noodles afterwards. Have one large bowl set aside to put everything into as its finished cooking.